Hundertwasser acquired the former transport ship in Palermo. A first trip to Venice and extensive renovation work followed. In 1975, the ship embarked on an 18-month journey from Venice to New Zealand. As part of an exhibition in 2004, it was brought by sea and land to Tulln. 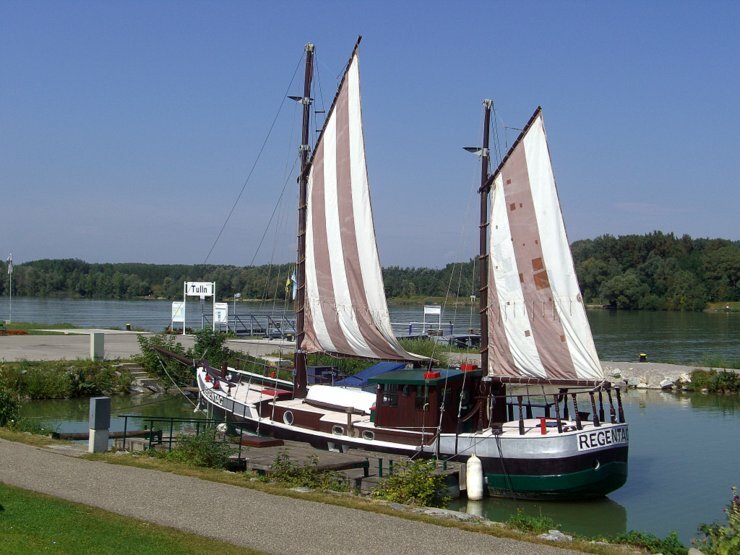 This entry was posted in Ships and tagged Austria, Lower Austria, Tulln by Travelwriticus. Bookmark the permalink.